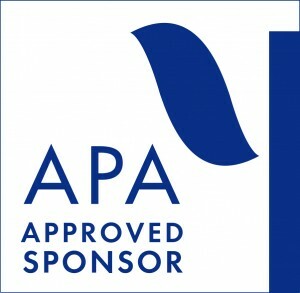 Mindset Continuing Education is an American Psychological Association (APA) approved sponsor of Continuing Education workshops for live and distance learning coursework. Mindset Continuing Education’s continuing workshops are designed for licensed Psychologists, Licensed Marriage and Family Therapists (LMFT), Licensed Clinical Social Workers (LCSW), Licensed Educational Psychologists (LEP), Licensed Professional Clinical Counselors (LPCC), and Associate Clinical Social Workers (ASW). Report Writing for Law Enforcement Psychological Pre-employment Screenings. Psychopharmacology; New Developments and Treatment Implications for Psychotherapists. The Neurobiology of Anxiety and Depression—Implications for therapy and Treatment. Building Resiliency; Helping Clients with Coping and Well-being Even During Difficult Times. Neuroplasticity: The Changing Brain-New developments and treatment Implications. Mindset Continuing Education is approved by the American Psychological Association (APA) to sponsor continuing professional education for distance and live learning continuing educational workshops. Mindset Continuing Education maintains responsibility for this program and its content.